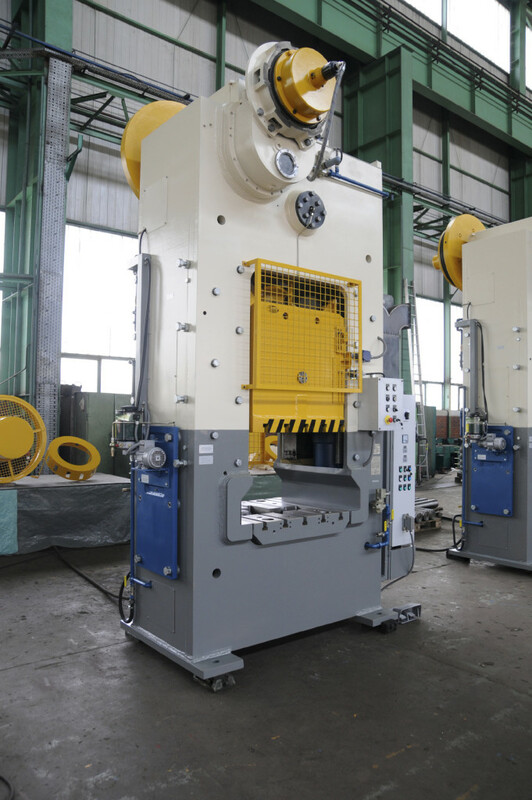 The mechanical power press is one of the most powerful machines in the production inventory, as well as one of the most regulated machines. One mistake on a poorly guarded machine can cost an employee a finger, hand, arm or their life. You want to be certain that if you have one of these machines, that your employees know how to use it properly, how to properly maintain and set up the press and insure that the machine is properly guarded to protect against employee contact with moving parts. Not every safety professional is trained to properly evaluate these machines nor train employees on how to properly maintain and use them. Our safety professionals are trained by experts at Rockwell on the proper methods of guarding mechanical power presses as well as the training requirements for employees. In addition to the machine guarding analysis mentioned in the first section, we can offer training for Competent Person Operation, Competent Person Maintenance and Operator Safety training. We evaluate the control reliability of each press and evaluate the control system installed to insure they are properly functioning. We perform stop time measuring to insure guarding systems are located in the proper locations, test presence sensing devices and light curtains for proper set-up and sensitivity, ensure brake monitors are functioning properly and develop inspection checklists so your personnel can perform the necessary inspections prior to use easily. If the manual is not present, we will locate the proper manual for the machine. If the press has a robotic system present for loading/unloading the press, we will do a full evaluation of that and ensure it is properly guarded. Mechanical power presses require a great deal of training and guarding in order to be used safely. We are trained and prepared to assist you in ensuring that your equipment is properly guarded and that your personnel are properly trained to use and maintain the equipment. If you need help, don’t wait until OSHA is at the door or you have an injured employee on the way to the hospital. Give us a call and let us determine if you need to make improvements or if you are in full compliance.